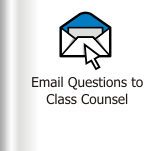 By submitting the below information you are contacting Class Counsel. You are not submitting a claim for settlement benefits by providing your information below. In order to submit a claim for settlement benefits, you must print and sign a claim form and mail it (along with a copy of your Belford High School diploma) directly to the claims administrator at the mailing address provided on the claim form, postmarked no later than June 12, 2017. You may access the claim form here. Fill out form. forming an attorney/client relationship by sending us this information. © The Googasian Firm, P.C.